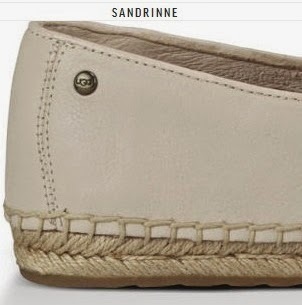 The classic espadrille gets the luxe treatment this season, showcasing a sumptuous leather upper and soft leather lining. Luxurious natural wool cradles the heel in comfort while hand-stitched sidewall construction and a flexible molded rubber and natural jute outsole finish the Sandrinne in timeless fashion. Natural jute footbed with leather forefoot patch and heat embossed heel patch. Molded rubber and natural jute outsole, providing incredible flexibility. Hand-stitched sidewall construction with toe cap. Leather lined with 7mm curly UGGpure™ at heel counter for comfort. This beauty is a limited edition. By the way, you can shop for these shoes at the Ugg Australia website. Maybe these are the shoes you have been looking for to take on your next adventure. Do you think these are good adventure shoes for this weekend?